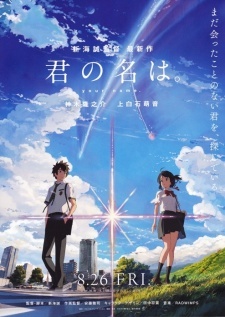 Plot Summary: The story is set one month after a comet has fallen for the first time in a thousand years in Japan. Mitsuha, a high school girl living in the countryside, wants to live in the city because she is tired of life in the country. Then, there's Taki. He's a high school student living in Tokyo with his friends while working as a part-timer at an Italian restaurant. He also has a strong interest in fine arts involving architecture. One day, Mitsuha dreams of herself as a young man. On the other hand, Taki also has a dream where he is a female student attending high school in the countryside. What's the secret behind their dreams?